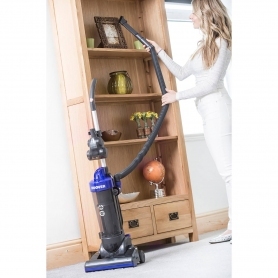 Looking for a fantastic vacuum cleaner to keep your home spotless? Try the Vortex WR71_VX04 from Hoover – this upright vacuum cleaner provides fantastic results on both carpets and hard floors. With 750 watts of power, the WR71_VX04 has plenty of oomph to get the job done. It also offers excellent performance on both carpets and hard floors, so you can clean throughout your home, and still achieve the same great result. We all love our furry friends, but they can create quite a mess, leaving fluff and hair all over your floors. Luckily, Hoover has equipped the Vortex with a Pet Turbo Brush. This powerful attachment is great at picking up fur from your pets, providing a deep and thorough clean. 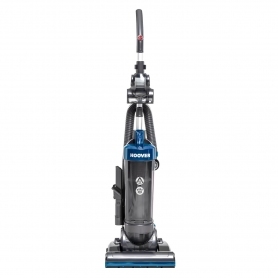 The WR71_VX04 makes vacuuming much more convenient, thanks to its design. 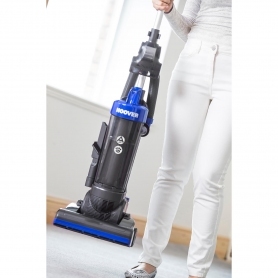 It has a long, five-metre cord, which gives you plenty of cleaning reach and flexibility. A long cord means less swapping between sockets, so you can finish the job sooner. Spotted cobwebs hanging from the ceiling? They’re well within your reach, thanks to the 2.5-metre hose. Simply detach it, pop on a handy attachment, and you’re good to go. As the WR71_VX04 has a bagless design, you can do away with vacuum cleaning bags altogether. Simply pop off the 2.5-litre dust bin and tip the contents away. Not only is this quick and easy, but it also saves you an ongoing cost. 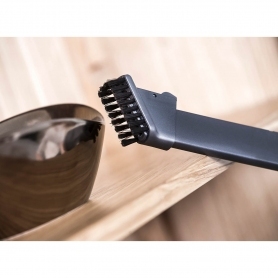 Alongside the Pet Turbo Brush, you also get a two-in-one crevice and dusting brush. This is perfect for getting into nooks and crannies, cleaning surfaces and skirting boards, or just about anything else. When not in use, this is stored on board, so it’s always close to hand should you need it. 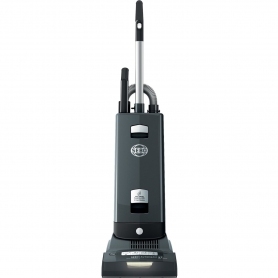 The Hoover WR71_VX04 doesn’t just perform brilliantly – it looks great too. A grey and blue colour scheme gives a stylish, modern look to this powerful appliance. 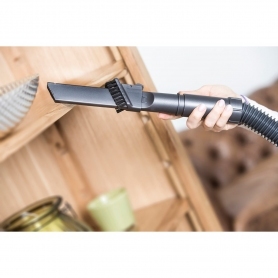 Not only does this vacuum cleaner help save you time, but it could help you to save energy too. With an A-class energy efficiency rating you can save money and reduce your impact on the environment. If you’re after a vacuum cleaner that performs well, is convenient to use, and looks great, try the Vortex WR71_VX04 from Hoover.